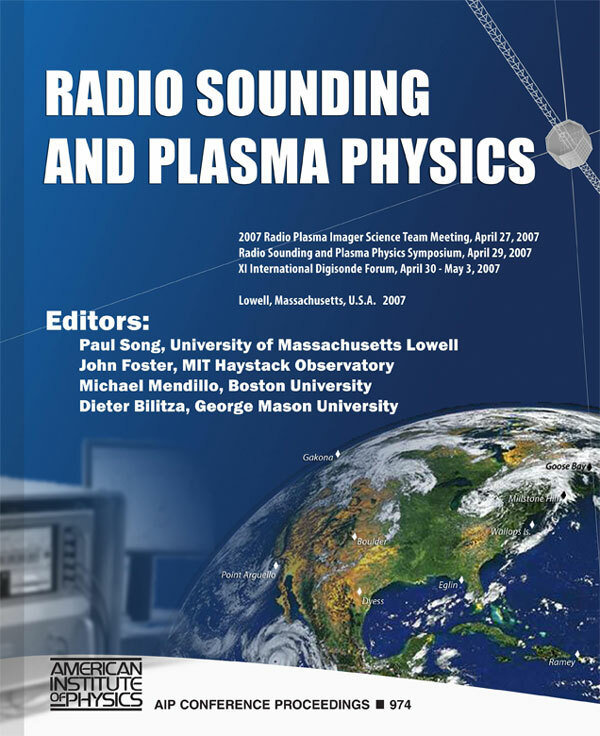 RADIO SOUNDING AND PLASMA PHYSICS, Now Available! 8.5 X 11 inches, double column; Hardcover. Readership: Ionospheric physicists and ionosonde users. This volume provides and introduction to the principles of radio sounding, a description of advances in hardware and data systems, and data processing and analysis software, including electron density profile inversions, for data from modern digital ionospheric sounders, especially the digisondes, and digisonde operation instructions. It is the most comprehensive documentation for digisondes and can serve as a master reference source for digisonde users. 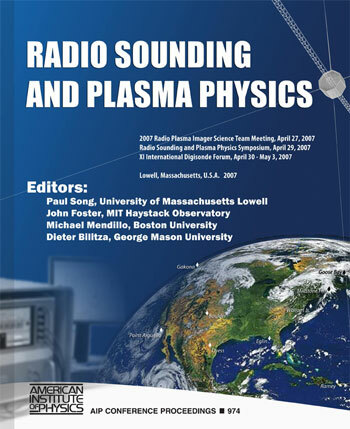 It also provides and overview of the international research activities using radio sounding and presents the newest scientific results from the Radio Plasma Imager on NASA's IMAGE satellite and related plasma physics subjects.